In small bowl, mix mustard, vinegar and sugar with wire whisk. Gradually add oil, beating constantly until well blended. Season to taste with salt and pepper. In large salad bowl, place salad ingredients. 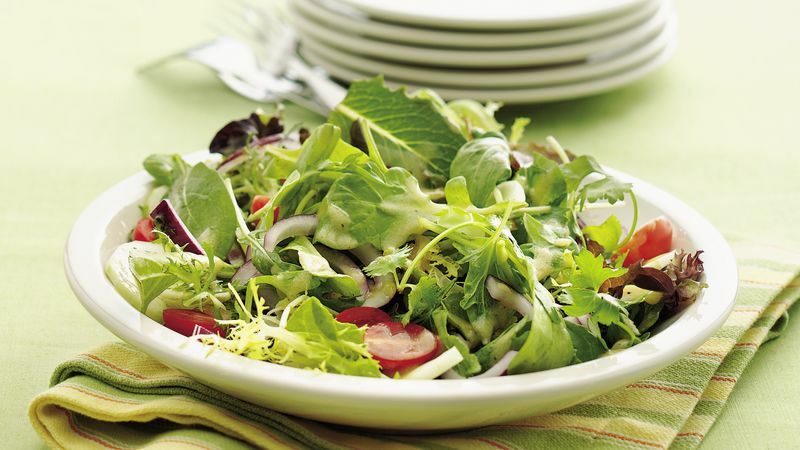 Pour vinaigrette over salad; toss gently to mix. To remove the seeds from the cucumber, cut it in half lengthwise. With the tip of a spoon, scrape out the seeds.